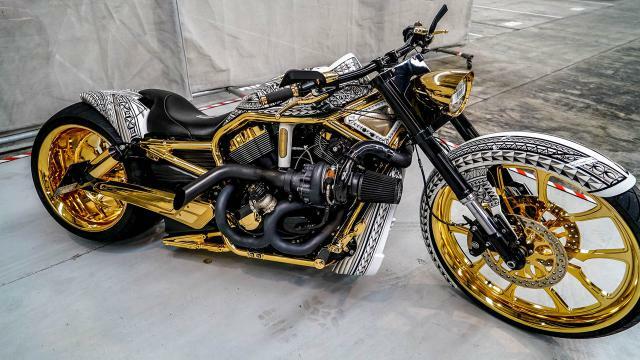 New Zealand Police have arrested six people after executing a number of search warrants targeting members and associates of the Comanchero motorcycle gang. More than 80 Police staff executed search warrants at ten properties across the Auckland region today, including members of the Armed Offenders Squad, Dog Section and Specialist Search Group. The warrants are part of the second phase of an investigation dubbed Operation Nova, run by the National Organised Crime Group. 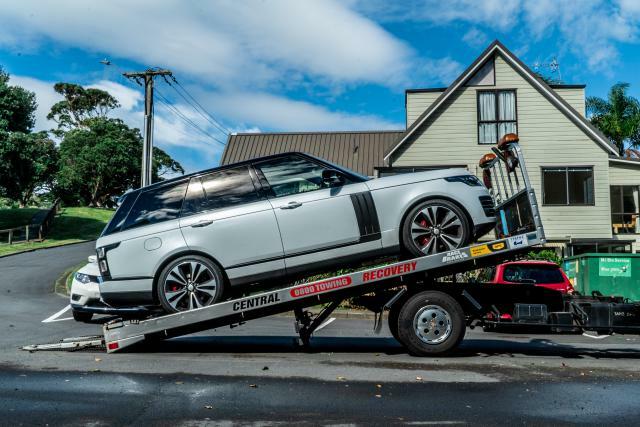 The first phase, terminated on February 12th, saw the arrest of five people in New Zealand and one person in Fiji, as well as the seizure of about 11kgs of methamphetamine, and 39kgs of cocaine. The seized substances had a combined street value of over $25 million. 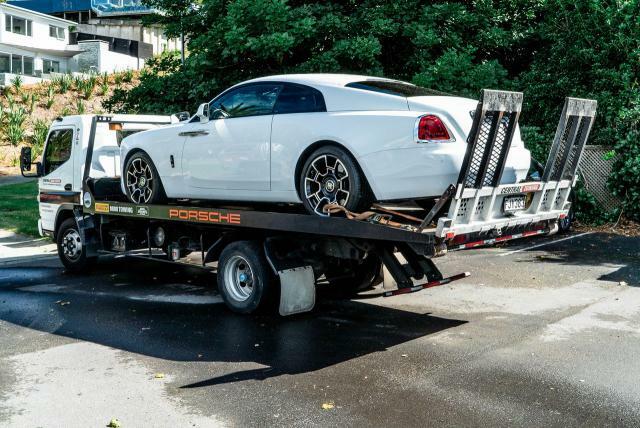 As part of today’s efforts, almost $4 million in assets have been restrained including two residential properties and several high end vehicles, including a number of Range Rovers, a Rolls Royce and Harley Davidson motorcycles. About $60,000 of cash and firearms have been seized, including a loaded pistol at one address, and a MSSA pistol grip shotgun and rounds of ammunition at another. National Organised Crime Group’s Detective Superintendent Greg Williams says the operation has targeted some senior members of the Comancheros who hold leadership positions within the gang. He says the operation has dealt a heavy blow to the Comanchero and will go a long way to reducing the gang’s influence and the social harm they cause. Our investigation also revealed plans to allegedly import methamphetamine, and approximately $1 million dollars’ worth of its precursor, Ephedrine, into New Zealand. The National Manager of the Financial Crime Group, Detective Superintendent Iain Chapman, says Police have also identified professionals including a lawyer and an accountant, who have allegedly been providing aid to the gang by helping them to setup businesses or trusts for the purpose of money laundering. Enquiries into this are ongoing. “The offending being alleged here generates significant cash and organised crime groups rely more and more on professionals to hide its true origin so they can benefit from the proceeds,” he says. “Professionals who aid these gangs will be held to account,” says Detective Superintendent Iain Chapman. “Essentially gangs cause immeasurable harm to our communities by selling them drugs. They then use that money to lead a lavish lifestyle and drive around in high-end vehicles to market themselves. Meanwhile, the people they’re preying on, and their families are suffering,” he says. Today’s seizures will help strip the gang of symbols of status and the influence they use to attract others to join. Six men have been arrested. A 31-year-old has been charged with money laundering, participating in an organised criminal group, conspiracy to import a class A drug, conspiracy to supply a class B drug and unlawful possession of a firearm. A 30-year-old has been charged with money laundering and participating in an organised criminal group. A 28-year-old has been charged with conspiracy to supply a class B controlled drug, and unlawful possession of a firearm. A 24-year-old and 36-year-old have also been charged with money laundering. All are expected to appear in the Auckland District Court this afternoon. This investigation remains ongoing and at this stage Police cannot rule out the possibility of further restraints and arrests. Media note: Video footage can be made avaliable later this afternoon upon request. Please send an email to media@police.govt.nz to request these.